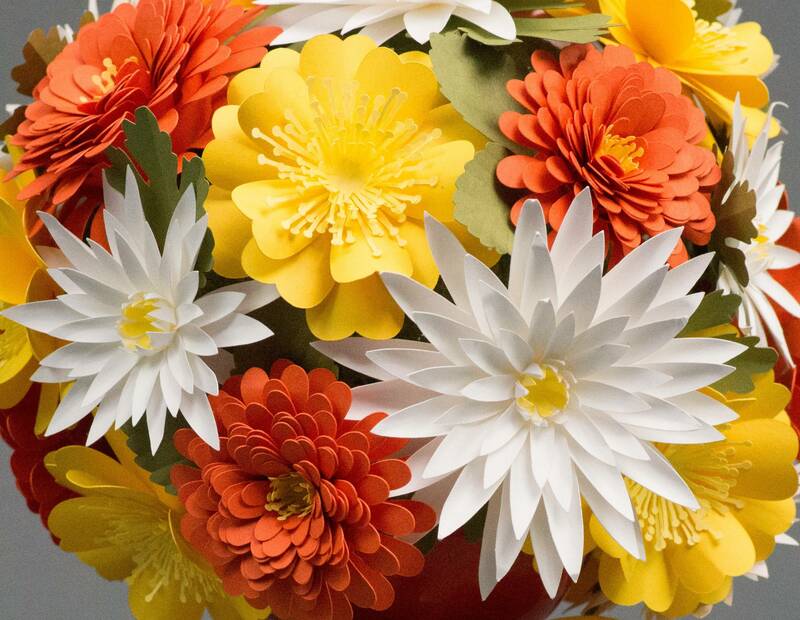 A week ago, we posted the first part of our tutorial about the 3D fall flowers bouquet and explained how to prepare the flower designs and cut them out. 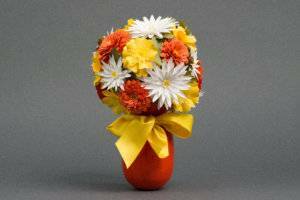 Today, we will continue with an explanation on how to shape and assemble the flowers and arrange them in a bouquet. 1. 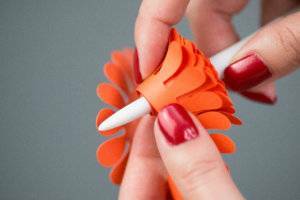 Wrap the petal around the handle of the spatula tool and roll to create a crease. 2. With your fingers, bend the petals up. 1. 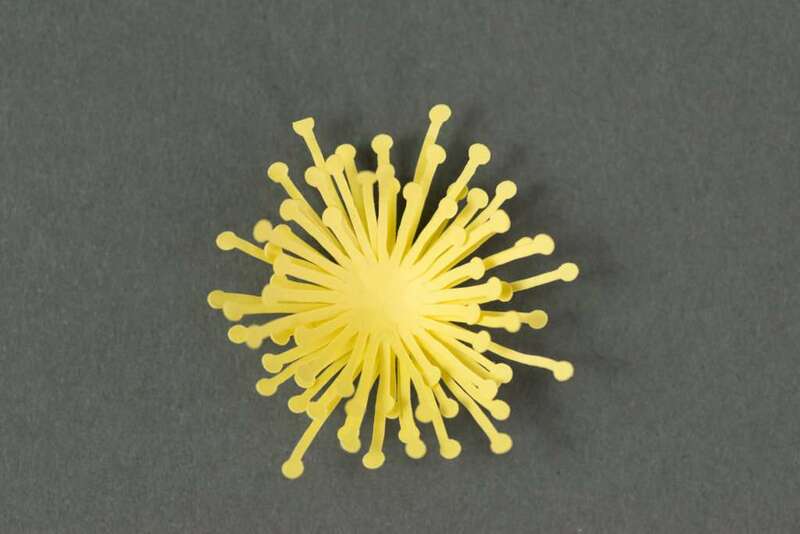 Using the wood skewer, curl the chrysanthemum center as shown below. 2. 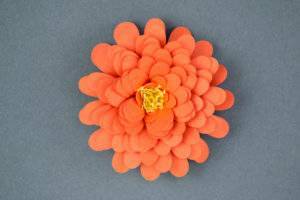 Glue the chrysanthemum layers together. Fit the smaller layer over the top of the larger layer; repeat this process with each layer of the chrysanthemum. Glue the flower center to the center of the flower. 1. 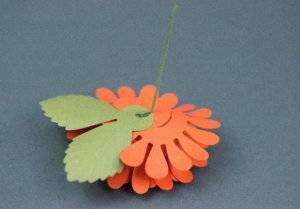 Place the green chrysanthemum leaf on the embossing mat. 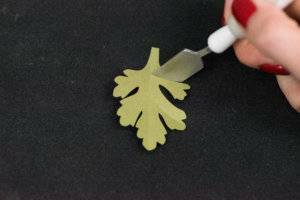 Using the spatula tool, add relief (or create a raised pattern) to the leaf as shown below. 2. 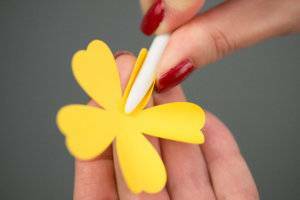 Glue leaves to the bottom of the flower. 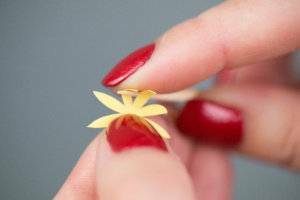 Take a piece of floral wire two inches long, bend the top, and glue it to the bottom of the flower using super glue. 1. Using the handle of the Silhouette spatula, curl the aster petals as shown below. 2. Roll the flower on the spatula. 3. Remove the spatula and slightly loosen the flower. 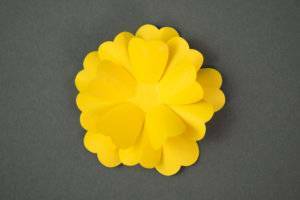 Put glue on the bottom circle of the flower and glue the rolled flower to the bottom piece. 1. 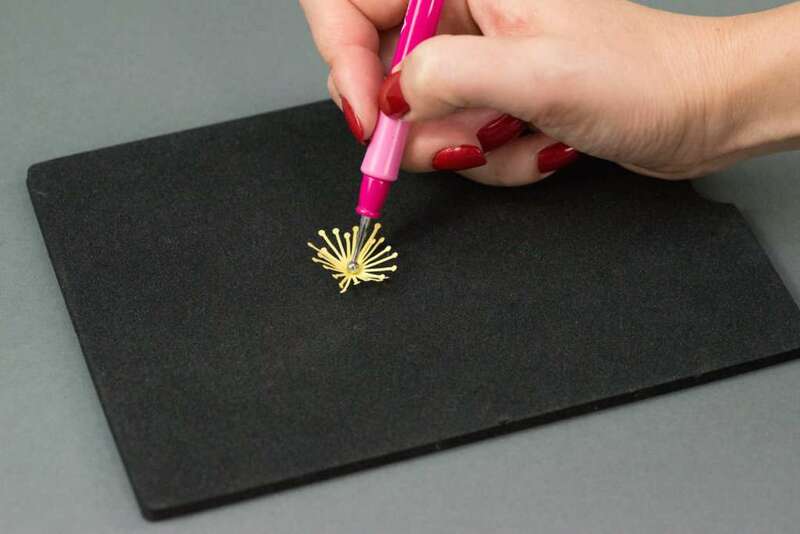 Place the aster center on the embossing mat, press in the middle with the shaping tool, and spin in circles until the center curls in. 2. 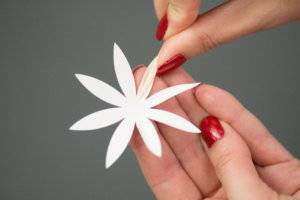 Glue each layer of the flower center on top of each other and end with the smallest layer. 3. 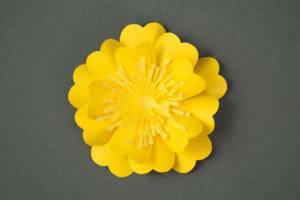 Glue the flower center to the center of the flower. 1. 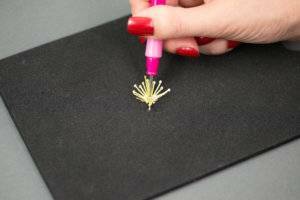 Place the aster green leaf on the embossing mat. 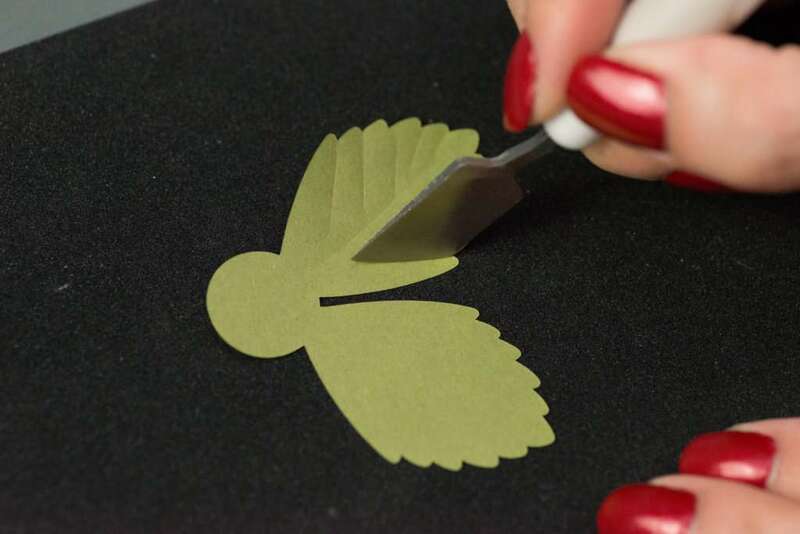 Using the spatula tool, add relief (or create a raised pattern) to the leaf as shown below. 2. 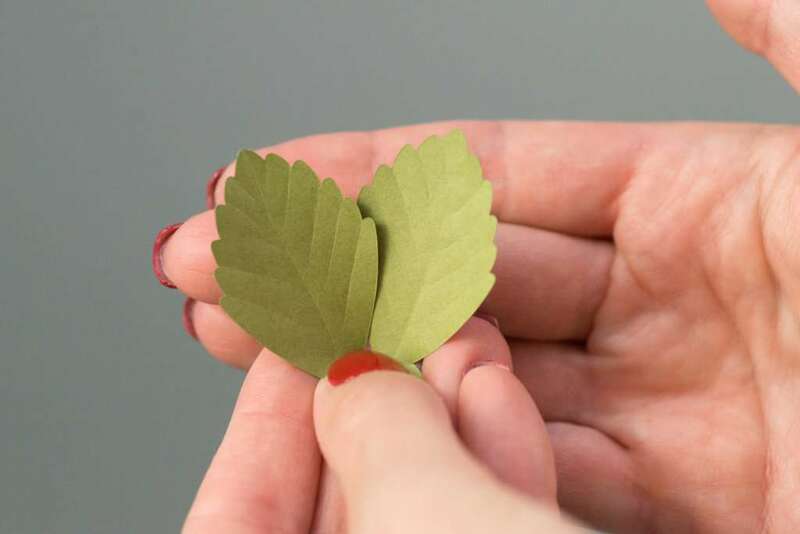 With your fingers, bend the leaves up. 3. Glue leaves to the bottom of the flower. 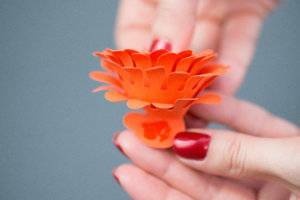 Take a piece of floral wire two inches long, bend the top, and glue it to the bottom of the flower using super glue. 2. 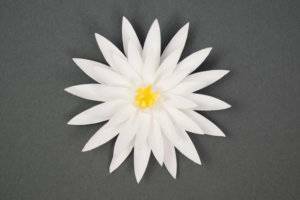 Bend petals up as shown below and glue each layer of the flower on top of each other. 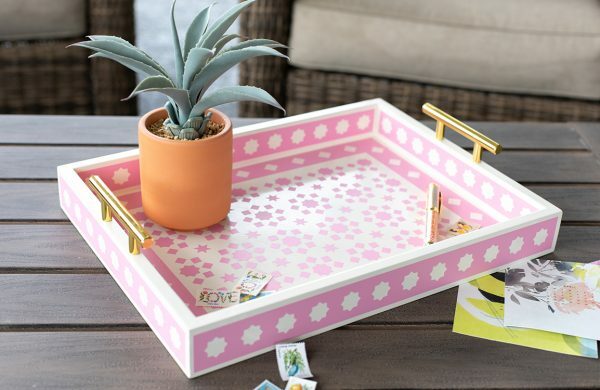 End with the smallest layer on top. 1. 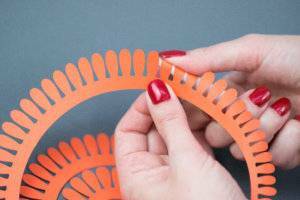 Place the rose center on the embossing mat, press in the middle with the shaping tool, and spin in circles until the center curls in. 4. 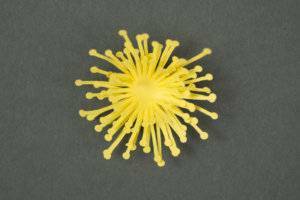 Take a piece of floral wire two inches long, bend the top, and glue it to the bottom of the flower. 1. 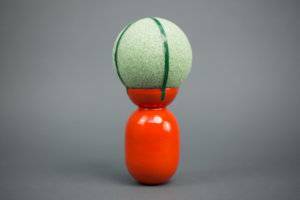 Tape the dry foam ball to a vase using floral tape. 2. 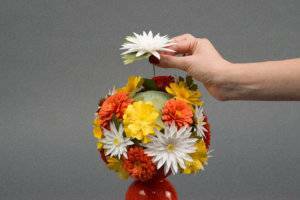 Arrange the flowers around the dry foam ball in a desired pattern and poke the wires into the ball. 3. Tie a ribbon in a bow around the vase. Congratulations on finishing your bouquet! 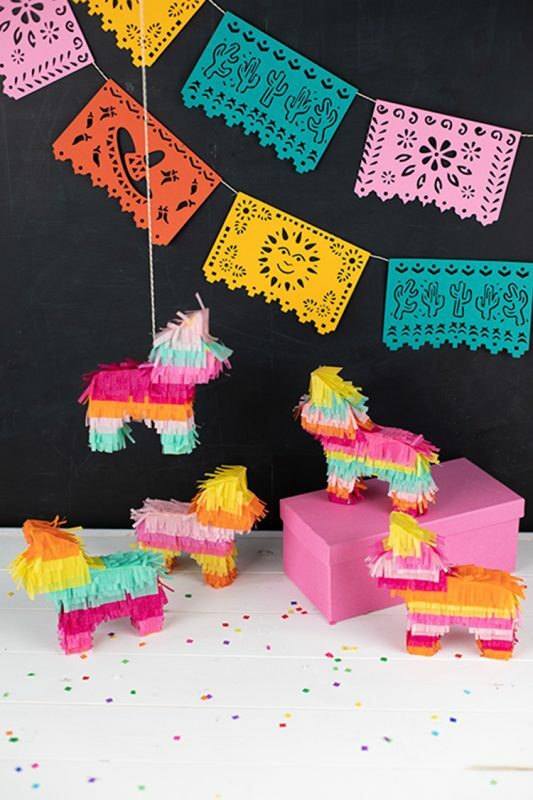 Enjoy it as a decoration for your home or give it as a gift to friends or family.